The forager and his truffle dogs. All photos by Jeralyn Gerba. 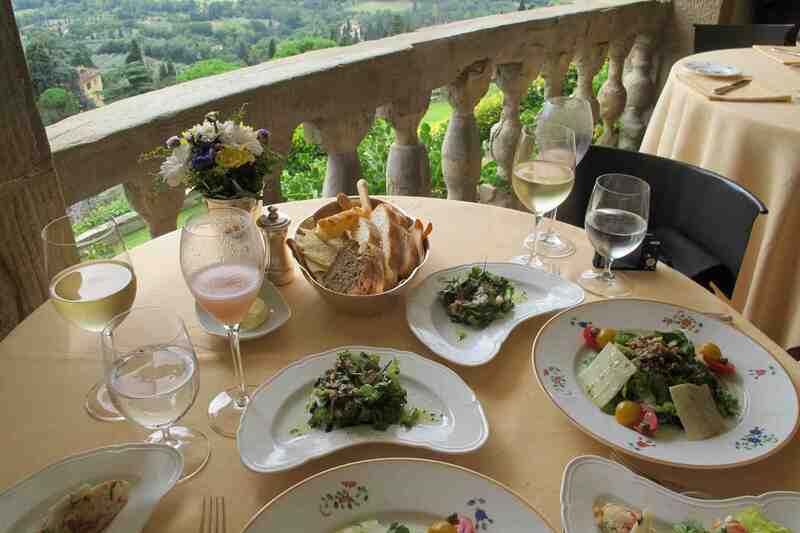 You're in Tuscany now, so you'll need to think of something to do between all the meals. 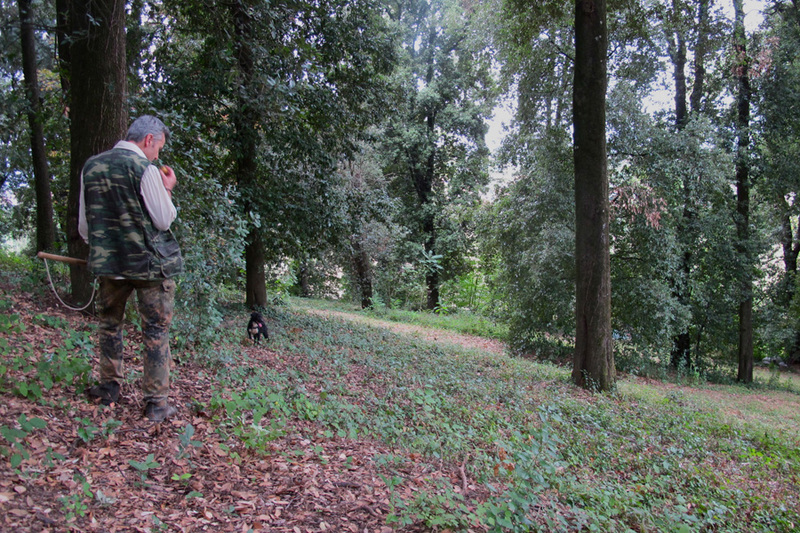 Truffle hunting in the hills of San Miniato makes for an easy afternoon jaunt from Florence. FIESOLE, Tuscany – Here I am, in a former 15th-century Franciscan monastery, now the , in Fiesole, just outside of Florence. The grand hilltop hotel has a facade attributed to Michelangelo, spacious suites tucked into terraced gardens, and a calm, meditative atmosphere befitting its 600-year-old bones. I'm having lunch with a friend on the veranda overlooking rows of slender Tuscan cypress trees, the city of Florence, and its giant, gleaming Duomo. The view is out of this world. Those Byzantine monks sure knew how to secure the best views. We're in town for a friend's wedding and decide to make it one long splurge of a week. That's why I say certamente every time the elegant waiter asks if I'd like more bellini, more wine, more pecorino, more espresso, more petit fours. We share lobster risotto and handmade pasta with vongole, those sweet, tiny clams you can only find in Italy. We tell ourselves we need to be fortified for our afternoon excursion: truffle foraging in San Miniato. The Tuscan town is obsessed with the pungent root, so much so that they host a three-week-long truffle fair every November (the most fruitful time for hunting and eating). The hotel works with , a local touristic outfit, to arrange outings with a licensed forager (and, if necessary, a translator). We jump in a car and head for the hills about 45 minutes away. When we meet Giampiero, he's wearing camouflage and holding a wooden tool made specifically for digging truffles. He has a sly smile, shiny hair, and a quiet demeanor. For the rest of the afternoon, we refer to him as the Silver Fox. Two truffle dogs named Tiago and Biagio run like crazy in circles around him. They know they're about to play a game and they are very excited about it. We're looking for the elusive white truffle (tuber magnatum pico) of the San Miniato Hills. Referred to as the Food of Kings, they are considered to be one of the most precious varieties. 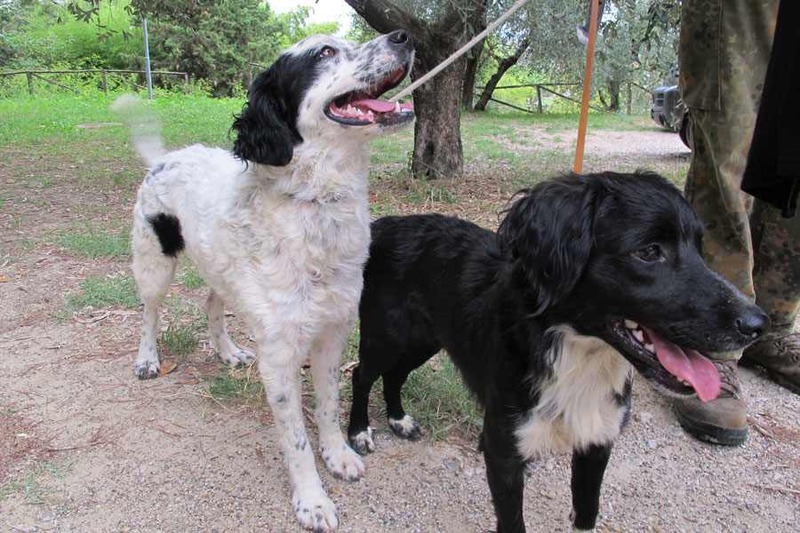 The dogs are trained off the aroma of the tuber — they go nuts sniffing around the wooded hills as the Silver Fox makes note of the temperature, humidity, and outcropping of oak trees where truffles usually hide. It's September, so chances are slim that we'll come across any, but it's good exercise for the dogs (not to mention us). The Silver Fox tests his pets by taking a truffle from his pocket and burying it in the ground. He whistles for their attention, and the dogs know the game is on. They're off in a mad dash, sniffing and racing until one of them locates the trifola. Dog treats and big pats all around. This is Italy, so the forager is, of course, also a philosopher cook, and the Silver Fox takes his time explaining the spiritual properties of quiet walks in the woods before insisting that the best preparation for white truffles is shaving them over fresh spaghetti. We don't disagree. It's been two hours or maybe even three since our last snack, a serious offense in Tuscany. We bid farewell and make our way back to Florence to resume our truffle hunt inside a cozy trattoria. We caught the hotel's complimentary shuttle service from Florence's Piazza della Repubblica to Belmond Villa San Michele. It's about a 15-minute drive from the city center to the gorgeous hillside retreat. 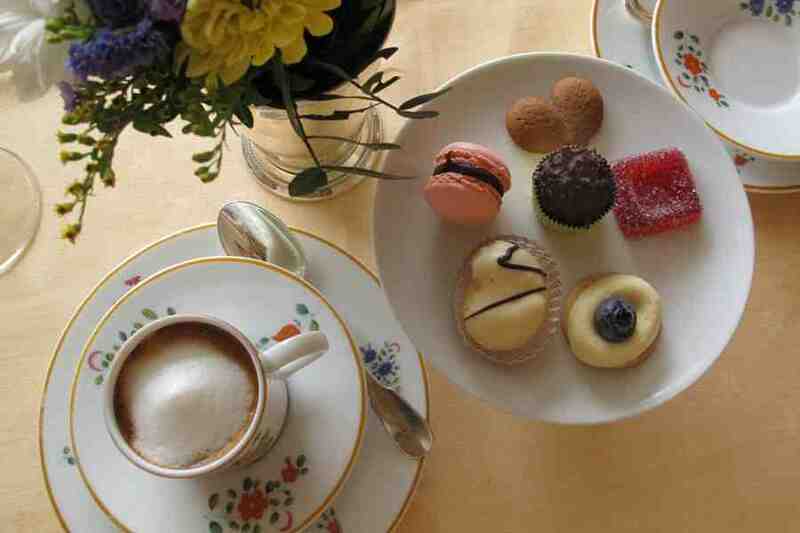 From there, the hotel arranged a truffle tour with , as well as a driver to San Miniato and back. Have Your Birthday Party at This Ancient Italian Monastery. But First You Have to Find It. Jeralyn is Popupla's co-founder and editorial director and NYC's biggest fan. You can follow her at @jgerba , and . She travels for the ancient ruins and the future relics.